All businesses need branding, a set of iconic pieces which through name and graphic design will make a statement about who you are and what you do. I am reticent to discuss design and branding too much with such a wonderful audience of talented artists, but I know that a few reminder points are always valuable – especially when we so easily lose our perspective in creating logos, designs and icons for and about ourselves. Keep it simple. No matter how hard you try, your logo won’t say everything you want to communicate about yourself and your brand. Appeal to your largest target audience. Make sure you have decided your mission and objectives before choosing your branding. Get the opinion of those you value. 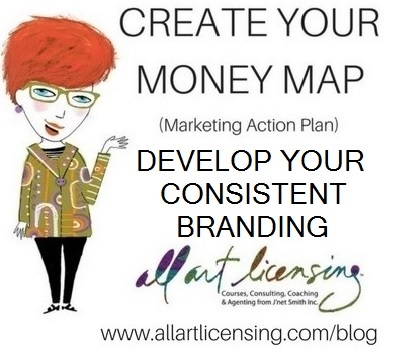 And once you have chosen your branding, be consistent. There is nothing more important as you go forward than keeping your image consistent, because this is how you build exposure and potentially leverage your identity and intrinsic (and generated) value later in the licensing world. 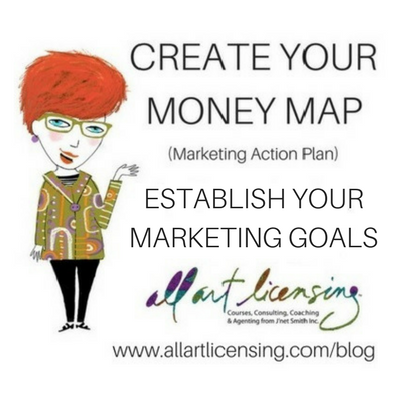 Many artists ask if they should be advertising to build their business. 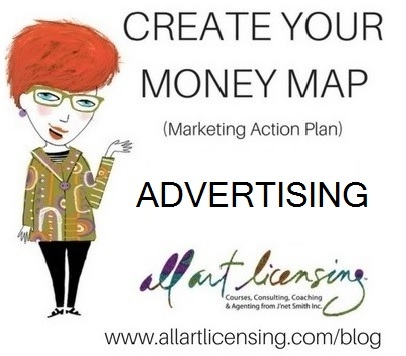 I think advertising is great and can be a helpful promotional tool. But it’s not worth advertising if you don’t have the expendable budget. My advice is to save advertising, whether on Google AdWords, in a trade publication or in a dedicated trade show directory, for when you have begun to exhaust your promotional tool list – all the other items, such as exhibiting at a trade show, keeping up with social media, refining your website and creating feature articles for trade and consumer magazines and relevant internet sites. What I don’t like to see is advertising be put ahead of all the other promotional tools which are, frankly, more cost efficient and often more effective (obviously depending on the media and your goals). 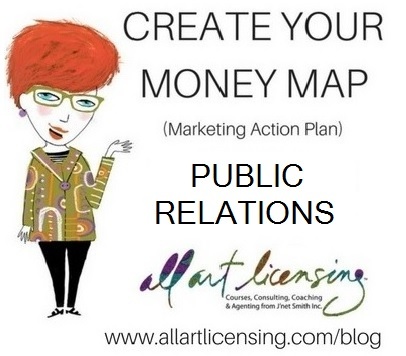 Today public relations experts have a wide variety of ways and platforms in which to share a story. They divide this new media mix into 3 categories: owned media (your website, email database and social media), earned media (traditional PR stories and articles featured on television, radio, print and electronic venues), and paid media (advertising). The best media plans incorporate all of them to some extent. But again, do what you can and do it well. Business announcements, promotions, alliances, etc.